Absolutely incredible. Trip of a lifetime. It was a great test of stamina and will, but the reward is well worth the effort. 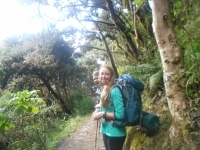 The Salkantay trek is one I will recommend to everyone. 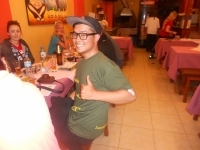 Our tour guide Lisandro was fantastic and extremely helpful and patient. 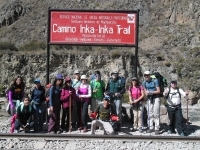 I am glad the I had this opportunity to join the 4 days classic Inca's Trail. We had two wonderful tour guides in our group. They had lots of patience and responsibilities. They took care of us so much that our trip ended very nicely. 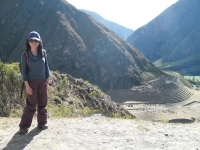 My father had this plan - to take me on the Inca Trail when I was 14 years old. In July 2014 the time had come and we did the trail together - my father and I. I think I will tell this still to my grandchildren. 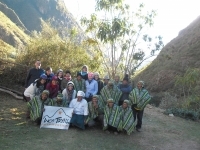 Me and a friend decided to do the trek at the beginning of this year; while searching for companies, Inca Trail Reservations was the site that popped up the most, so after a little bit of research, we decided to go with it. In all honesty, I'm glad we did. What an awesome experience. From the beginning our guide Manuel was very thoughtful and patient. 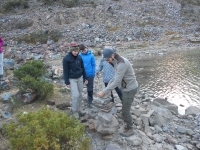 All the team made sure we had everything we needed to go through the hardest parts of the trek. The road was long and hard, but with the encouragements of our guides, and the smart planning, we made it! 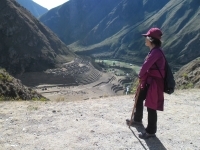 Camino Inca has been a wonderful experience for my mom and I. I was fortunate to meet a group of wonderful team members and wonderful tour guides who supported each other like a family. 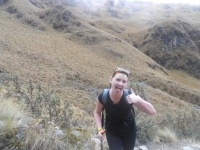 I truly enjoyed my experience on the Inca Trail! My four day three nights adventure was a once in a life time opportunity. I had such an amazing time, a four day three night adventure is something I will never forget! This was by far the best adventure I have ever taken part in! From start to finish everything was simply amazing. I have seen so many amazing views that I would not have observed otherwise - the glaciers, the rainforests, Dead Woman's Pass - simply breathtaking! The adventure was very rewarding but very hard. I was very prepared equipment wise but my physical strength and stamina was not up to par. The first day was not too bad. 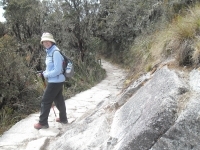 I really enjoyed the 4 day 3 night Inca Trail. We first met with our guide the night before our departure for a briefing of the trip ahead. 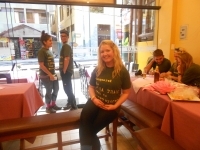 I had a fantastic time on the Inca Trail this July! I chose to spend 4 days, 3 nights out there and it turned out to be the perfect amount of time as far as distance hiked per day and the time spent 'roughing' it in the wilderness.